When it comes to wedding dresses, the possibilities are nearly endless. You can customize your wedding look by going traditional or trendy or by following the beat of your own drum. Let’s talk about fun possibilities and ways to mix it up for your special day. ​To wear white or to go bold? Wearing white is one of the most popularly upheld traditions. Of course, many brides dream of white weddings and looking like Kate Middleton or Kate Upton. If white is your dream, then let it be white, but if you’re not attached to the snowy organza and milky white tulle, then your options are open. There are some famous weddings that have broken this tradition over the years. Elizabeth Taylor, for example, did not wear white to several of her weddings. She wore emerald green in the ’50s, yellow in the ’60s, and a rainbow gown in the ’70s. 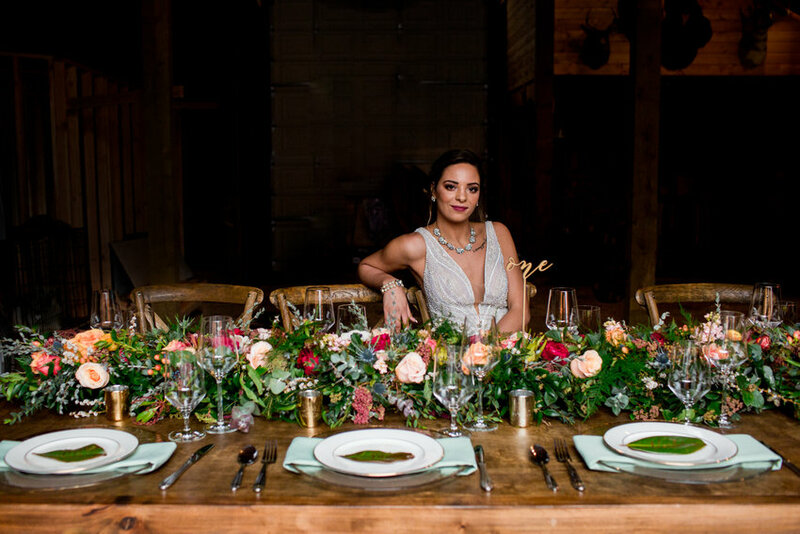 More recently, jewelry designer Caitlin Mociun wore colorful stripes to her wedding in Puglia in September this year. In short, the whole palette is yours to consider when it comes to color. There are also happy mediums between rainbow and white. Portia De Rossi famously fudged the white rule with a pale pink gown in 2008, and Gwen Stefani wore an ombré white to pink gown in 2002. Put your own spin on this tradition. Recently, Gwyneth Paltrow wore a stunning Valentino gown to her ceremony and then changed into a Stella McCartney romper for her reception. This is an old tradition that is coming back for convenience and style. Many wedding dresses, though beautiful, are cumbersome to move around in, cut cake in and dance in. Why not change into something lightweight and shorter such as a jumpsuit or romper? Obviously, one dress is less expensive than two, which is a definite con of the trend. However, your second outfit can be simple and much more casual. Try stunning your guests for the second time with a minimalist look that doesn’t break the bank. Let the ceremony gown be the main event or split your budget between the two outfits. This is also a good way to show a variety of looks. You could even change from dress to suit and really mix it up. Your two outfits wouldn’t have to be the same color either, so you could marry in a white gown and celebrate in colors and patterns. ​Dramatic trains are in this year, throwing back to Princess Di’s train to end all trains. Ringing in at 25 feet long, Princess Diana was a complete showstopper in her day. Although the puffy sleeves she was sporting have remained back in the ’80s where they belong, her epic train has come back into style. Meghan Markle wowed the world this year with a beautiful billowing train and a veil that clocked in at over 16 feet long. Detachable trains are a convenient option that will help your dress to be more practical during the reception. Another option is a train that pins up in the back for the reception. Drama in the dress is great for the ceremony, but make sure you will be able to enjoy your reception without worrying about being stepped on. Despite a history rooted in superstition (In ancient Rome, brides wore veils to ward off evil spirits), the veil itself has remained an elegant addition to the bridal outfit. A long veil can frame the entire look, while a short veil can be made to complement the bride’s hairstyle and frame her face. Veils are also a great opportunity to add some details into your look via embroidery and detailing around the edges. Though it may feel outdated to cover your face as you walk down the aisle, there are many ways to wear a veil. The trick is finding the right styling for you. Recently, Priyanka Chopra walked down the aisle to meet Nick Jonas for their nuptials sporting a 75-foot veil. While we certainly all don’t need a veil that requires a team of people to carry it safely down the aisle, a veil remains a simple, elegant and traditional touch. Whichever way you choose to style your wedding look, you will stun the crowd with beauty and grace. The possibilities are plentiful and can be overwhelming, but stay true to yourself and your style and you can’t go wrong. Happy styling! ​Let us know what your dress looks like with the contact form below!